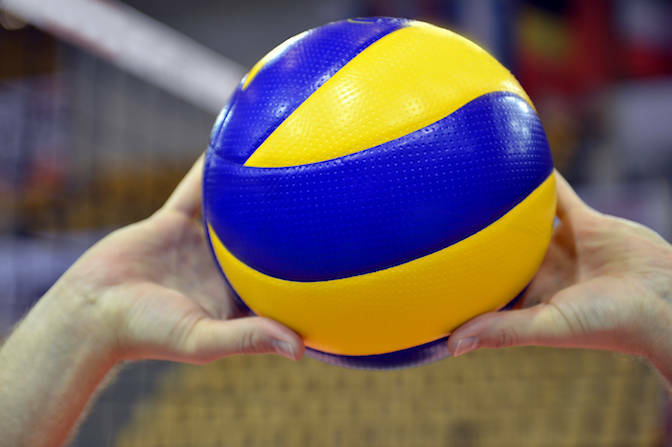 Jared Brady had 16 kills and 10 digs Friday to help host Palo Verde’s boys volleyball team to a 25-23, 25-20, 18-25, 25-20 win over Centennial in a key Mountain League match. Scott Solan added 15 kills and four blocks, and Andrew Tingey had nine kills and three blocks for the Panthers. Cooper Jarman had 44 assists and seven digs for Palo Verde, which remained tied with Shadow Ridge for first place in the Mountain League. Both teams are 8-0. Cole Kahle had 10 kills and seven blocks, and Justin Madsen added 10 kills and eight digs for the Bulldogs. Andrew Shiheiber had 38 assists and three blocks for Centennial, which fell to 8-1 in league play. Cimarron-Memorial 3, Las Vegas 1 — At Cimarron, Kilmor Amor had 10 kills, 38 assists and three blocks to help the Spartans to a 25-23, 26-24, 23-25, 25-21 win over the Wildcats. Maximo Torres had 23 kills and two aces, and Dylan Lacoste had nine kills for Cimarron, which got eight kills from Hakeem Williams. Kevin Sweitzer had eight kills, 29 assists, 13 digs and three aces to pace Las Vegas. Ashton Barney added five kills and 20 digs, and Leander Gates added 11 kills for the Wildcats. Arbor View 3, Legacy 0 — At Arbor View, Max Senior had 27 assists as the Aggies defeated the Longhorns 25-10, 25-11, 25-9. Jaylen Harris had 10 kills, and Jordan Hood had four kills and two blocks for Arbor View. Romeo Bottley had eight digs, and David Yancy dished out six assists for Legacy. Sky Pointe 3, Valley 0 — At Valley, Jaegen Driscoll had 14 kills, four aces and four blocks to lead the Eagles past the Vikings, 25-11, 25-22, 25-15. Jaden MacFarlane had five kills for Sky Pointe. Efran Zepeda had seven kills to lead the Vikings. Allen Go dished out 17 assists, and Miguel Torres-Barragan had 12 digs for Valley. Shadow Ridge 3, Eldorado 0 — At Eldorado, Sebastian Yates had eight kills and two aces to lift the Mustangs over the Sundevils, 25-5, 25-17, 25-6. Sam Nish had nine kills, and Tass Ahlstrom had three assists and 15 digs for Shadow Ridge. Christopher Johnson had three kills and two blocks to pace Eldorado. Sunrise Mountain 3, Western 0 — At Sunrise Mountain, Carlos Chavez had six kills and two aces as the Miners defeated the Warriors 25-18, 25-20, 26-24. Tee Williams had five kills for Sunrise Mountain. Alejandro Sanchez had four aces for Western. Mojave 3, Chaparral 0 — At Chaparral, Juan Carbajal had 23 assists and five digs as the Rattlers defeated the Cowboys, 25-16, 25-17, 25-19. T.J. Blanchard-Davis had eight kills, five aces and 13 digs, and Sebastian James added 10 kills for Mojave. Iopu Tauli’ili had four kills, four blocks and three aces, and Robert McGregor had 11 assists for Chaparral. Cheyenne 3, Desert Pines 0 — At Desert Pines, Denzell Brown had 18 kills to help the Desert Shields take down the Jaguars, 25-17, 25-20, 25-23. Victavion Conway-Fox had eight kills, and Ryan Buchanan added six kills for Cheyenne.